Waukesha Area Roofing, Windows, Siding & More! Celebrating 15 years in business this year! Reimer Roofing & Remodeling in New Berlin is family owned and operated. We were founded in 2002 on the belief that complete customer satisfaction is the most important aspect of our roofing business. 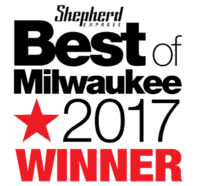 By offering fair prices and quality workmanship with attention to detail, we have been able to provide unbeatable customer satisfaction in Southeastern Wisconsin for 15 years. Reimer Roofing & Remodeling is a family-owned and operated full service exterior home remodeling company specializing in roofs, windows and siding. Based in New Berlin, WI and serving the greater Waukesha area, our wide-reaching network of trusted industry professionals enables us to get to your home remodel project faster! Since 2002, we have been providing customers with efficient and outstanding workmanship. Whether its windows, siding or roofing, our professionals provide custom solutions based on your home’s unique architecture, functional needs and aesthetic appeal. Our Waukesha roofing company was founded on the belief that exceeding customer expectations is the most important aspect of our business. This unwavering belief is why we work with you from beginning to end to make sure you are thrilled with the services we provide. Reimer Roofing and Remodeling of New Berlin, WI has received many distinguished awards, including being named a Select Shingle Roofer, Master Shingle Applicator, and Quality Master Company by Certainteed Corp., as well as a Super Service Award Winner by Angie’s List – Milwaukee 10 years running! All services are completed to manufacturers’ specifications by our experienced, knowledgeable and friendly professionals. Our quality materials, outstanding workmanship and growing list of awards makes Reimer Roofing and Remodeling the most recommended exterior home remodeling company in the area. We are THE window, siding and roofing company Waukesha and surrounding areas trust the most with their home! Reimer Roofing and Remodeling Serves: Big Bend, Brookfield, Delafield, East Troy, Elm Grove, Franklin, Greenfield, Hales Corners, Hartland, Milwaukee, Muskego, New Berlin, North Prairie, Pewaukee, Waterford, Waukesha, Wauwatosa, and other surrounding areas. Get a Free Estimate today or contact our home remodeling company with questions; we’ll respond shortly! Our work is covered by a limited Lifetime No Leak Labor Warranty for guaranteed satisfaction years down the road. We stand behind our work by using only high quality materials and doing the job right the first time. Serving SE Wisconsin: Waukesha, New Berlin, Lake Country, Muskego, Mukwonago, Milwaukee, Pewaukee, Oconomowoc, Franklin, Greenfield, Wauwatosa, West Allis, and Brookfield Areas.